Got a problem with tax-evading networks? A new UK network promises to change the point of our phones. 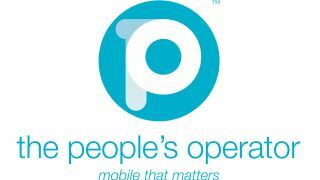 The People's Operator is a new mobile virtual network operator (MVNO) that launches today, with its big selling point the charitable use of the profits. 25% of these will go to 'great causes' which will vary as the network grows – the TPO Foundation will be offering ongoing support to charities, community groups and other good causes, and will be bringing more charitable partners on board to help promote the product. Using the EE network, TPO be offering wide coverage throughout the UK – there's no news on the contract tariffs as yet as the network is soft-launching to the pay as you go market initially, but it's likely to be offering up 4G data in the long run as well. The network is promising free calls and texts between its users, but that's seemingly where the benefits end. However, it has placed additional benefits in the deal for those that enjoy a warm and fuzzy feeling: customers can decide where 10% of their call, text and data spend will be going with text updates on how their donation is being spent. Or you could be signed up by a charity or other good cause which will nab that 10% instead – either way, money from you to people that you think need it, rather than deciding which bolt/add on makes the most fiscal sense to your texting habits each month. We're still yet to get more information on elements like how much data will be each month (although texts and calls to other networks look to be pretty cheap, at 7.5p per text) or when you'll be able to sign up for a SIM only deal, like other MVNOs such as Lyca Mobile or GiffGaff. The People's Operator thinks this will be a 'game-changer' – do you agree? Will people leave their current contract, which have been hewn to get the best deal for them each month, for the benefit of others? Let us know in the comments below.